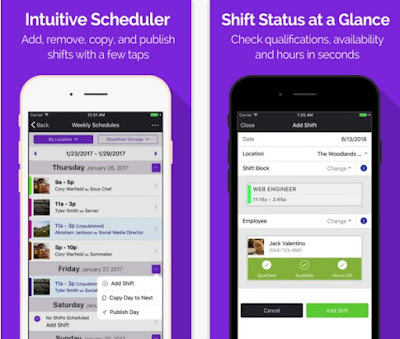 There are many productivity apps that you can install now on your iOS or Android device, but have you thought about a shift scheduling app? Yes, we we're stunned when we discovered it too, but we're so glad to share it with you - one of the most useful employee scheduling apps on the App Stores and our pick for Business App of the Week - ShedWool. Today we have one fantastic cross-platform productivity app that works like a schedule maker, perfect for both staff members and managers. It can help any employee or manager to manage their shifts, communicate with each other and much more. The app is called ShedWool, designed with friendly user interface, various handy features and it’s now available for both Android and iOS users. ShedWool is a powerful schedule planner for work, an app that provides with easy to use features. It is great for coworkers and managers as well – they can add, remove, copy, edit, view and publish shifts in seconds, copy/paste previous weeks’ schedules, communicate with other coworkers and managements staff, make actions (such as approve/deny shift swaps, time off requests, etc.) and so much more. This way, you’ll be able to see who is available, qualified and pick up/release shifts within seconds. If you want to own this employee schedule maker in your device, click on of the links below and get the app for free! Football is the most famous game in the world, and it has strong followers. Even in the countries that are not having a major Football team, the game is so popular. Football is the living and breathing for many, Die-hard fans when kick-starts game. With the rise of Smartphones, now you can play the Stunning Football Games on your Phone. If you have free time and want to have fun, sit back and read carefully our this review about Ultimate Football – Soccer to enjoy it on your cell phone. What is Ultimate Football – Soccer? Ultimate Football – Soccer game is easy to pick up and it has a lot of fun for the soccer lovers. The gameplay takes you to the ground where you can your players from the top view. Pass, Shoot & Score your way to legendary status, as you explore the dramatic career of your HERO player. Controls are very easy and understandable even by the first time user. It has simple, intuitive gaming controls, which gives you the power to play it in your fingertips. Use the joystick button to move players around the field, tap to pass, swipe to shoot and more. You can play in the different game modes like multiplayer gameplay mode where you have the chance to compete against the players worldwide and you can also go for its Facebook integration to connect with your friends and challenge them to play. Whereas, if you want to play it offline you can play offline with your friends on the same device. Download Micro Soccer today on your Android devices and feel yourself in a real football world. Click the direct download link below to install. Gaming on mobile has been improving at a far greater rate than any technology that came before it. In 2005, if you had told anyone that you could play Grand Theft Auto: San Andreas on a telephone with the same graphics as it had on a PS2; you probably would’ve been laughed out of the building. Now there are games that look and play even better than that! Without further delay, here is the review for best action game Minion Smash for your Android smartphone. Endless mode: this mode offers an endless fight, where you keep on fighting one after another with different opponents and after each fight the strength of your opponent increases. The game also offers a variety of achievements to make the gameplay more interesting for the players. You can also use different boosts to enhance your gameplay and there are also a variety of combo attacks offered through the game. This is the necessary street fighting pack for the lovers of the action/fighting games and after playing you will realize that fact. It is available free for both android and iOS OS devices and you can have it free from the links present at the end of this helping review. Meeting new people can be awkward and intimidating, especially when you are just arriving in a new place. Whether you are traveling or moving to a new city, the idea of going up to random people and striking up a conversation can be terrifying. To give you the best solution and to eliminate the distances this we are here for a review of an app Afro-Dating App. Afro-Dating App is an innovative step towards the creation of new age online dating platform for the singles to mingle with the singles in their present location and to give the user their right partners. All you have to do is to install this cool black dating app on your device and register yourself by adding the necessary information about you and your personal life. This makes it easy for you to find the people based on your interest. Moreover, if you found the compatible profile you can send either a wink or you can also for the instant messaging feature. iMessage is filled with tons of sticker apps! You can find good, you can accidently download bad ones, however, the great and inspiring kids stickers for iMessage are rare. Few weeks ago we were introduced to an iMessage sticker app Rosebunny Designs. Testing it for the last few days, it is easy to concluded, this could easily become one of the best kids iMessage sticker app this year! The app is created by the highly creative Rose Bunny Designs will make your daily texting a more pleasurable and fun experience. You have three girls to choose from and each one present something different. You will send love, inspiration, and creativity with 18 different designs. The iMessage sticker app is a great purchase for your kids! The cute characters with tons of reactions can be used on a daily basis and are kid friendly. Even though it’s best suited for children, the grownups can also use it to get inspired and motivate while texting with kids. 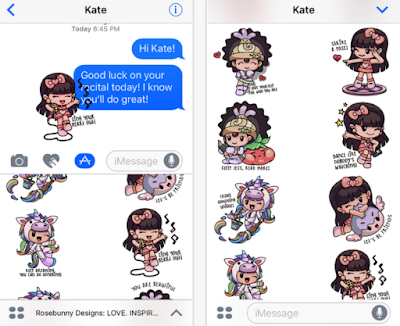 With Rosebunny designs, you will have an easy and fun chat that will save you a lot of energy and time. How cool is that? So if you want to get more messages and get more popularity be sure to download this super cool app from App Store. Making games for touch devices has been somewhat of a journey for the video game industry. It was not always clear what sorts of games or control schemes made sense, and adapting existing genres has produced mixed results. However, one genre had little to no difficulty in adapting to this brave new touch world – adventure games. Their unique suitability stems from the fact that there is almost no difference between point 'n' click and touch 'n' click controls. Here in this review, we present you the best adventure game, Temple Adventure Runner 2017. What is Temple Adventure Runner 2017? Temple Adventure Runner 2017 is an exciting classic platform game full of adventure. 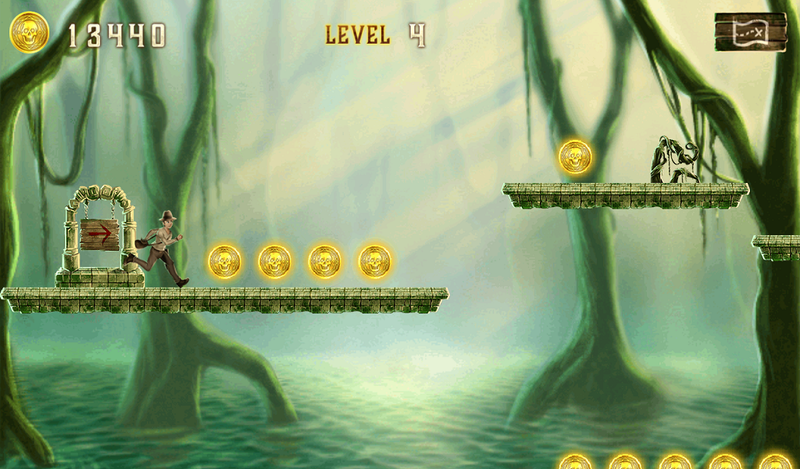 In the game, your aim is to guide the runner who is traveling through the old temples to find the gold coins. The way is full of risk and challenges that are why you have to take each step with great care. Collect coins that come in your way to earn some good points. The game presents you 5 environments where you will run along cliffs, traps, barriers and much more. All of these game worlds comprise several levels and to reach the next level you have to clear the previous. In order to reach your destiny you have to get through different difficulties and as you move, forward in the game the difficulty level increases. The graphic is classic and the music is the adventurous type that will make your game even more adventurous. Enjoy this beautiful adventure with 100 magical levels and download this game free for your Android or iOS devices from the links below. We always feature the best apps as our choices for apps of the month. Likewise, today we have one of the best horoscope apps on the Android platform, one that stands our from the crowd of indistinguishable apps - Pocket Horoscope. This is an Android horoscope app that provides its users with accurate and astrology-based daily horoscope readings. Thanks to its developer, Corey Wytinck, now we all have the chance to read daily horoscopes which are updated by certified and experienced astrology experts. Pocket Horoscope contains tons of incredible and easy-to-use features, well organized in multiple sections: Single Love, Double Love, Daily, Finance and Work. If you want to read your daily horoscope, just tap on your horoscope sign and read on. If you want to know which days of the month are the best for you to do a specific activity, like what day is the best for you to start a business, to have your first love or your working boom, tap on the preferred section and let the app help you determine your daily tasks. Read complete astrological predictions everyday as they are updated every day, download Pocket Horoscope for free from Google Play now! Medicine, like sports, always seems to be wearier of new technology because it’s less reliable. Most establishments that practice medicine will rely on the tried and true methods over something new until that new thing can become as reliable as the old methods. That said, there are some medical apps that you can get on your smartphone that are worth having. For instance, Figure 1 is an Android and iOS hidden gem, perfect for all healthcare professionals. It is a medical tool that connects more than 1 million healthcare professionals, one that helps you view thousands of real-world teaching cases from physicians and nurses in hundreds of specialties, page healthcare professionals around the world for instant feedback and communicate with your colleagues using HIPAA-compliant direct messaging. 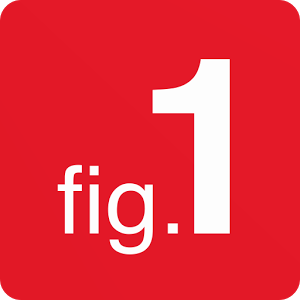 Like we said, the Figure 1 app is a perfect way to connect with other fellow physicians from all around the globe. 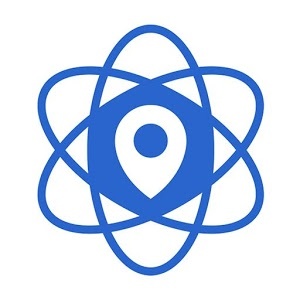 To be more specific, you can connect with physicians at world-renowned hospitals in more than 190 countries, doctors that practice n extreme trauma units, refugee camps, and remote areas of the world and special healthcare institutions such as Doctors Without Borders, Mount Sinai Hospital in New York, and Massachusetts General Hospital. With it, you’ll be able to recognize rare conditions in your patients, sharpen your knowledge, share your cases and experiences, send direct messages, and much more. Get it now for free from Google Play or AppStore. Few weeks ago we wrote an article about an app called eReading: The Time Machine, an incredible app that can help kids with dyslexia, kids that are in need of a spell checker that checks spelling based on the types of errors typical to dyslexics. Looking at its helpfulness and importance, we just couldn’t kept ourselves from making it a kids educational app of the month. eReading: The Time Machine is an app for kids suffering from dyslexia and similar reading issues and is helping them to break down the barriers to reading and learning like never before. This app is loaded with helpful accessibility features that make learning and reading fun for these kids. The app brings you the story about a science fiction that is an amazing point of attraction for children from upper elementary and middle school. The app also offers narration features to help them to learn to pronounce the letters in the story, these narrations are compiled by professionals with a superb level of clarity. Moreover, from its on-screen menu, you can turn on word highlighting, auto forwarding to next page and also you can select to read and listen to the required chapter with great ease. To get this app all you have to spend only $1.99 which is worth more than the content it offers. The app is available for iOS devices and you can have it for your devices from the link given at the end of this helping review. 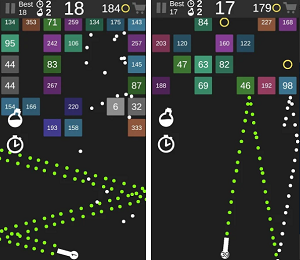 The touchscreen controls of a smartphone offer a unique opportunity for puzzle games, and arguably, they are best suited for our pocket devices because they can be easy to pick up and play when you have a few free moments. We have picked a puzzle brick breaker game this time that is available by the name, Cute Monsters Brick. What is Cute Monsters Brick? Cute Monsters Brick is a new arcade game that brings you the brick breaking fun in a unique way. In the game, all you have to do is to break the monster bricks instead of ordinary bricks. You will play to break those monster’s bricks and will try to clear the screen from these monster brick in the least possible time. Moreover, these monster’s bricks are holding tons of surprises for you as well. These surprises are some boosters that will help you to enhance your gameplay and to clear each level more easily and within a short time. Cute Monsters Brick comes up with six amazingly crafted worlds that carry 90 levels as a total. The interface is clear and simple, whereas controls for the game are not that difficult all you have to use your précised swiping skills to land the ball on bouncing pad present at the end of the screen the screen and steer it in a way to deflect the ball to the right positions. The graphics for the game a cool and the music is pleasant too. This game app is presently available free for iOS OS devices and you can install it on your device, without any cost from the direct download link given at the end of this helping review. Almost anyone that has a smartphone or tablet is continuously looking for ways to improve their professional life through apps. To get things done efficiently every day, you should be equipped with the right digital tools. This is why we have curated this review for an automatic responder app, Bizi - The Personal Secretary. What is Bizi - The Personal Secretary? Bizi - The Personal Secretary is an automatic device silencer that can switch your device's 'Do Not Disturb' mode /or ringer mode based upon the time, events in your calendar. If you fed up to be worried by call or SMS during sleep or important meeting - this app designed especially for you. The app is highly configurable and optimized for low battery usage. With Bizi - The Personal Secretary your phone will automatically go into silent mode when you desire, and exit silent mode when you no longer require it - meaning no longer will you miss a phone call because you had forgotten to turn off silent mode. To avail these secretary app worthy to note features simply tap the direct download link present at the end of this review and have it for your Android devices. 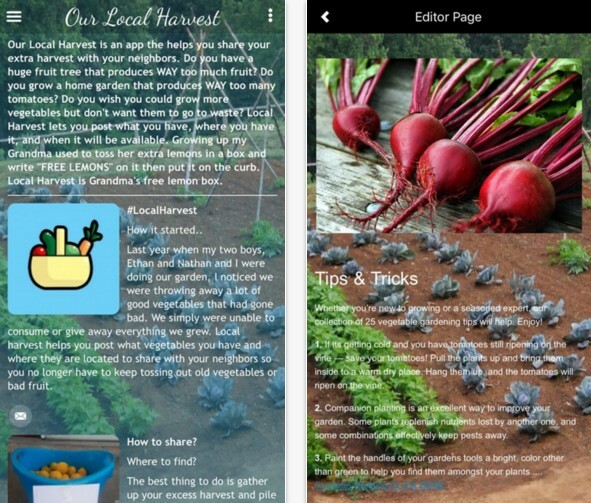 A couple of weeks ago we talked about an app called Our Local Harvest. Due to its simplicity, usability and uniqueness, we decided to share it with you again today – this time as a most creative app of the month. We know that the iDevice is a very attractive device for musicians, so that's why we reviewed one of the best ones few days ago. Due to its simplicity and high usability, we just had to share it with you again - this time as a music app of the month. Let's see what it is all about. Tired of taking your lap top or your bulky MPS to your live shows? Getting annoyed by all that stress and frustration? Do you want an efficient tool that can help you enhance the quality of your live performances and rehearsals? 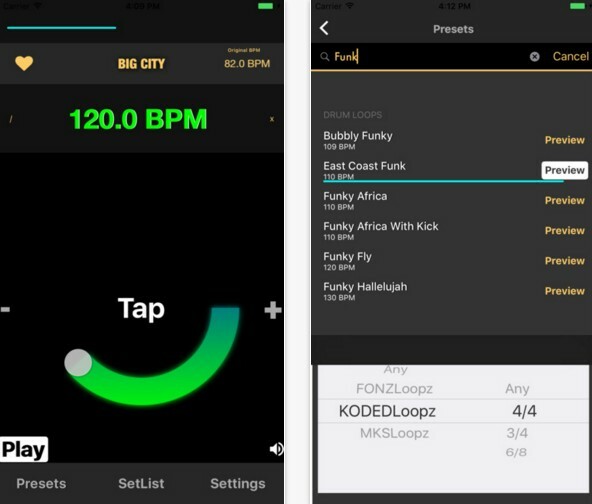 Meet Groovy Loopz, an easy-to-use and rich-featured iOS drum loop player app that offers endless number of loop samples. Like we said, Groovy Loopz has very organized features. It contains loads of drum loops and click tracks across various genres and styles to improve your live performances and rehearsals. What is more important is that the app lets you customize those drum loops, save them in your own Setlist and easily access them while performing. You can also lock the tempo of the currently playing drum loop, adjust the drum loop tempo, start and stop the audio playback, search for drum loops, re-order them, etc. Enjoy an efficient and easy to use drum loop player, beef up your performances by downloading Groovy Loopz from the App Store today! As much as we love to explore our IOS devices, our kids are more excited to have a chance to play with them. 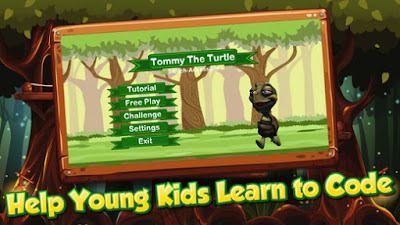 So, why not give them some time to play with your IOS phone or just buy an iOS tablet then download and install Tommy the Turtle - Learn to Code, an iOS app for kids on it. Let your children have some fun and learn things along with it. What is Tommy the Turtle - Learn to Code? Tommy the Turtle - Learn to Code sets out to teach kids the basics of computer programming (coding) concepts built within a colorful game starring a cute turtle. Tweens and teens can get a lot out of it. By the use of this app, Tweens and teens will be able to explore the app more independently, and once they are into it, it can be a lot of fun. If Move the Turtle included more directions, more explanations, and some audio prompts, it could be an effective and fun learning tool for more kids within that broad age range. In addition, the teach kids to code game also features an amazing challenge mode where children can test their coding abilities by solving Tommy the Turtle challenges. The game has no advertisements and is free of annoying in-app purchases as well to ensure that the kids are not distracted. It will not only enhance the problem-solving skills of children but will also develop their interest in coming from a very early age. So what is stopping yours from downloading? Have it today for your iOS platform devices without any cost. Direct download link to the app is present at the end. We take our smartphones everywhere we go, and with their powerful processors and LTE connectivity, they can be indispensable as personal assistants and productivity aids. If you're aiming to be more productive this year, adding some apps to your mobile device can be a step in the right direction. From note-taking apps and mobile office suites to calendars, timers and to-do lists, there are many productivity apps that you can install now on your iOS or Android device. Musicians have no shortage of options when it comes to great iOS apps that enhance their music making abilities in some way. Whether it’s by allowing them to be a DJ through an app, helping them learn to distinguish between beats, or by giving them sheet music no matter where they are, a trusty iPhone or iPad can be really handy. If you’re a musician that often performs live, then you’re familiar with the frustration of performing to a fixed soundtrack. Well, those days of stress are over because we have discovered the perfect solution – an incredible app called Live Chopz. It is a reliable, friendly and dynamic song section player developed especially for live performances and arrangements. This iOS app can be used for music gigs, shows events, rehearsals, dance practices and other live performances, requires iOS 9.0 or later and works for both iPhone and iPad. Let’s checkout its features! If you’re a touring musician, singer, performing artist, or choir director who wants to stop performing to a fixed soundtrack, Live Chopz can help you chop up and label your own imported audio tracks into sections (such as Verse, Chorus, Bridge, etc. ), snap song sections to the nearest quantized beat for perfect synchronization with beat and tempo, start and stop audio playback with zero latency enhancing real-time user experience, and much more. It supports mp3, wav, aiff, m4a and mp4 audio files which can be imported from any source (iTunes, Dropbox , email,etc.). Experience a better life performance by downloading the Live Chopz app from the App Store’s link below. The iPhone’s auto-correct function is a source of endless entertainment and frustration for iOS users. Although most users probably don’t stop and think about it, Apple’s keyboard is, in part, to blame for this comedy of errors. If you are an Android user, or you know someone who is, you know the keyboard that comes preinstalled on your device isn’t the only option out there. For years, Swype, SwiftKey, Fleksy, and more took over millions of Android smartphones as the default keyboards, while iOS users looked on enviously. However, ever since June 2014, iOS users have been downloading alternative keyboards like crazy. Here we have picked out an app for this review that falls in the same category of apps. We are talking about, CipherBoard – Secure & Encrypted Keyboard. What is CipherBoard – Secure & Encrypted Keyboard? CipherBoard – Secure & Encrypted Keyboard is your smart typing keyboard that is committed to give you an experience of error free and typing and enhance your typing experience by ensuring the safest and secure texting as it encrypts your text messages. No matter you are typing a confidential email or an ordinary text message it works with all the apps that need keyboard access. · It comes up with a smart and intelligent algorithm that is personalized to the way you type, the more you type the more it gets smart and efficient. · It is very easy to learn and with fewer times of use, you will be feeling more comfortable. So what else do you need? Have it today free for your iOS or Android OS devices and get that installed by using the direct download links present at the end of this helping review. Today's smartphones not only help us stay connected, productive, and entertained on the go, they can also save us money. From comparing in-store prices to revealing the best deals, there are a lot of free mobile apps you can have in your (iPhone or Android) arsenal before making your next big or small purchase. If you live in UAE and you want to find the best offers from your favorite stores, here comes one cross-platform app that can help you - Extra Offerz. What is Extra Offerz & How Does It Work? It is an easy-to-use and intuitive tool for all users that want to discover new offers and never miss out on great deals. The app allows you to browse and discover more than 10,000 offers from different stores and 1500 different retailers in UAE and Egypt. Everything is organized and categorized – you can search in many categories, such as fashion, cafés and restaurants, hypermarkets, health and fitness, electronics and computers, pets, etc. Additionally, each offer is presented with the details you need, like the stores’ addresses, contacts, opening hours, website and social media links. Included are offers for really popular cities like Dubai, Cairo, Abu Dhabi. Find what you love, get amazing offers in Egypt and UAE and share them with your friends and family. 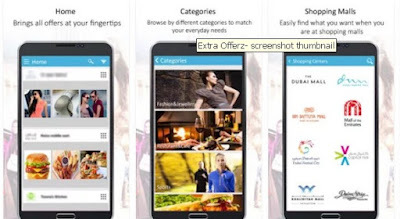 Get the Extra Offerz for free from Google Play or from the App Store. Mobile games can be much more than just flinging avians or killing zombies. Rather than take the route of mindless entertainment, some mobile games can actually get your brain working hard. Enter trivia. 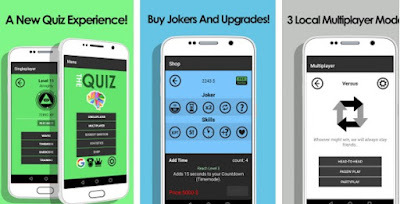 Whether you’re on iOS or Android, you’ve got many options for trivia game apps. There are so many trivia games out there, because there are endless questions and categories. It seems like a no brainer, pun totally intended, but believe me, there were some bad ones out there (and some broken ones with the wrong answer set). What is The Quiz: Trivia Adventure? If you’re an Android user, we have a great trivia quiz game for you. It is called The Quiz: Trivia Adventure, a innovative game full of fun questions, different categories, unique features and designed with wonderful graphics. It can test your trivia skills, your general knowledge, boost your brain and provide hours of fun. Why Is It One of Our Favorite Trivia Games? It’s not quite easy to impress us, but this game definitely has. Why? Because it lets you choose between a singleplayer as well as local multiplayer & three different types of questions (image questions, guess questions and trivia questions). All questions are organized in various categories, such as Religion & History, Science & Technology, Politics & Society, Nature & Geography, Literature & Language, Sports, Human & Animals, and Popculture (including Movies, TV Series, Music and Games). Additionally, the user can use help – 50/50 jokers that can be bought from the shop or unlocked through playing. With challenging levels and awesome achievements, The Quiz: Trivia Adventure can be downloaded for free from Google Play. For more features, upgrade it to its pro version. The combination of respectable music creation platform and networked accessory makes the iDevice a very attractive device for musicians. 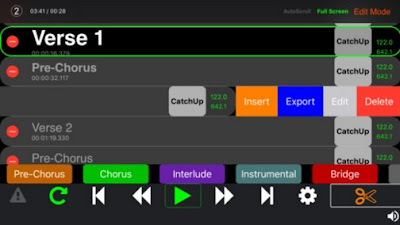 It's exciting enough to be able to plot beats, record riffs and even bang out live solos wherever you may be, but it's the continual development of apps to fill gaps in the music-making market that adds the weight. As opposed to needing a four track recorder, microphone and a few instruments back in the day, now we can simply download some software onto our computers, phones or tablets and get going immediately. One of the primary uses for the smartphone is communications. At a base level, that means phone calls, web browsing, text messaging and emailing. However, when you extend the thought of communications deeper, you see that it also applies to the way our devices communicate with each other: tethering, Wi-Fi, and Bluetooth. There are generalized apps across both the iOS and Android platforms that tailor to our human-to-human communications like Gmail, Google Voice, and Google Chrome. Moreover, while iOS does take a modicum of apps to the device communications level, Android comes out on top by a landslide. This is an aspect of Android that directly relates to the fact that it is built on an open development platform. Well to help you get started with these features we have found a communication app named, MoboLink - Call/Text/Money. What is MoboLink - Call/Text/Money? MoboLink - Call/Text/Money free communication app is aimed to make you daily conversation and calls with your beloved ones even more interesting and productive, as this app understands that how important it is to stay in touch with your beloved and that is why when you are on the call through this app a constant addition of points is in progress in the background when you are communicating through this app. Now, these points are redeemed in the form of real money to give you few extra features like international calling etc. The app perfectly manages your contact within the app which is categorized through separate tab so it is easy for you to check how many people in your contact list is using this app. it also brings separate tabs for individual messaging and group messaging, which saves you from being overwhelmed. There are many other exciting features this app brings that need to be revealed just by downloading this app free for your Android devices from the link present at the end of this review. If you’re a word search puzzle game lover, you’ll find something to pique your curiosity in our Game of the Week – Word Ranch. It is one of those word games that you will love to play each time you have a free time. We loved every second of it and that is why it is still one of our favorite puzzle games! 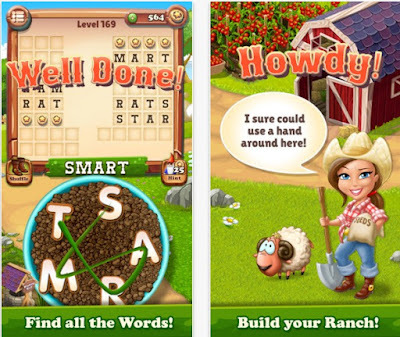 One of our favorite word puzzle games is called Word Ranch. It is an ios game app that allows you to find hidden words, exercise your brain and build your ranch of your dreams. You can play it on your iPhone, iPad, use it while being offline and use its iMessenger. How amazing, right? Also, the game features stunning graphics, smooth user interface and a challenging gameplay. The gameplay is based on forming words with the tip of your finger. You slide across the puzzle on your screen in order to form words – backwards, forwards, sideways, etc. It may sound simple, but it isn’t, it’s quite challenging to be honest. There are more than 900 levels for you to play through, all kinds of bonuses and coins, goodies, beautifully designed puzzle grids and tons of other fun functions. So your main goal is to solve as many puzzles as you can in order to help Sarah build her ranch. Exposing yourself enough longer to this incredible word puzzler will definitely boost your brain and keep you entertained no matter where you are. Download it for free from the App Store now! Apps are changing the way we communicate, get things done, travel, and learn. They're pushing the boundaries of what can be accomplished through software, whether it's something as complex as revolutionizing the shipping industry or making us feel more connected to people we care about. Who said making a difference in the world has to be hard? Sure, we all have busy and hectic lives sometimes, but with some apps giving back is made easier. If you own a home garden or have a big tree growing in your yard, one of your favorite things to do is certainly harvesting. But what about all that extra harvest? Your tree produces too much fruit, or your home garden produces way too many tomatoes? Do you throw away all that extra food? Well you can stop now and look at the app that we have for you today – Our Local Harvest. What is Our Local Harvest & How to Use it? 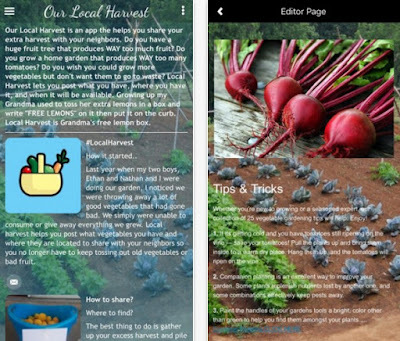 It is an innovative and marvelous app that helps you share your extra harvest with your neighbors. Compatible with both Android and iOS devices, this incredible tool is perfect for anyone who doesn’t want their vegetables and fruits to go to waste. All you got to do is share via the app what you have, where you have it, and in what time frame it will be available. Then your neighbors can come at your place at pick them up. Most importantly, the Our Local Harvest app can be downloaded for free from these following links. No ads, no hidden fees! There is a sea of horoscope apps out there for the IOS and Android platforms. Daily horoscopes are popular through this medium nowadays, and most people are entertained by the novelty of these vague daily horoscopes. So we went on a search for something better. 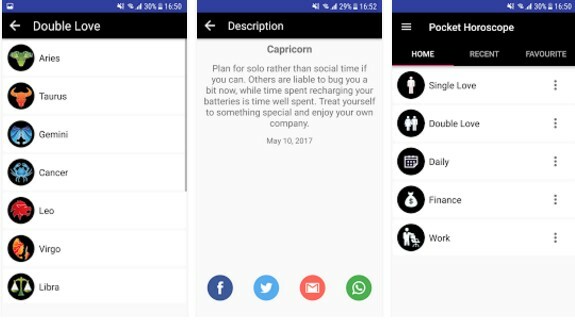 We wanted to see what apps offered more than what the sea of indistinguishable apps were offering and discovered Pocket Horoscope. Buying and selling things online isn’t quite easy. We are well aware of that, that’s why we did a review on our favorite shopping app few days ago. It received a good feedback and it is still updated with great content, so we decided to show it to you again, this time as a shopping app of the week. But even if you have everything you need ready, you will still need a good app to list your things. Well, don’t worry, we’ve got you covered! 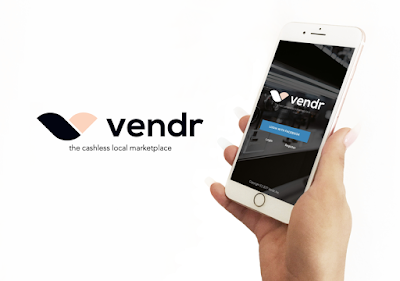 We present to you the first cashless local marketplace app called Vendr. This iOS tool lets its users to buy and sell things locally, effortlessly, and safely. It is an innovative app full of unique features that can make you think “Buying and selling has never been easier!”. Vendr is a feature-rich marketplace platform that stunned us with its organization and intuitiveness. It is perfect for buyers and sellers as well because it takes away all awkward bargaining on the spot, driving to an ATM before a pickup or being nervous about carrying large amounts of cash to a stranger's place, sharing personal information, etc. All you have to do is list your things for selling or scroll through the listings to see if you want to buy something, reserve and pay/receive payment through the app. All transactions are made via the app itself, so you no longer have to wait 24 hours or more to get your money. You can even make audio and video calls, set up a mile fee for delivery, user it on your iPhone and iPad, etc. If you want to get Vendr, click the links below, read more useful info and download it for free! Juggling tasks is an important skill in the modern world. From that presentation you promised to send your boss by today to picking up some ingredients for dinner, from holiday planning to present-buying, remembering everything can sometimes be overwhelming. Fear not – your smartphone can help you avoid drowning in a sea of tasks. There are a range of apps aiming to help you get on top of your to-do lists. Today we present you an app that can help you plan, visualize & grow by keeping track of everything you do in your daily life – a fantastic lifestyle & productivity tool called ‘Progress Graphs’. What is Progress Graphs & Why We Love it? Progress Graphs is a journal, timeline and to-do app that tops other of its type in terms of overall app quality, user experience and ease in creating timelines & notes. Available for both Android and iOS users, the app is developed with elegant design and 17 professionally created themes. We love it because it truly helps in visualizing important things and in becoming more productive in our lives. With it, you’re able to create notes with heading & sub-texts, dates, multiple images upload with or without input of texts, download your content into PDF format, share it via email or other compatible apps, create and access your lists (they called it ‘Graphs’) while offline. Perfect for taking daily notes, scheduling tasks, making grocery lists, creating digital baby books, photo albums, school history projects, visualize your life journey or creating future career path etc. Progress Graphs is free for download on both Google Play and App Store. In App Purchases are available, if required. Check out its full set of features & usage by visiting its Facebook page, YouTube Channel or official website. Mobile learning. Tablets in the classroom. Apps replacing textbooks. Apple may have started the craze, but the trend is now platform and device-agnostic. While iOS remains the system of choice for most developers (if for no other reason than the wild-west of the Google Play Marketplace versus Apple’s more streamlined iTunes store), learning-with-apps is as accessible on Android devices as it is on the venerable iDevice. So for both Android and iOS users, today we have one of the best educational apps on the market, a digital teacher called Speacher. 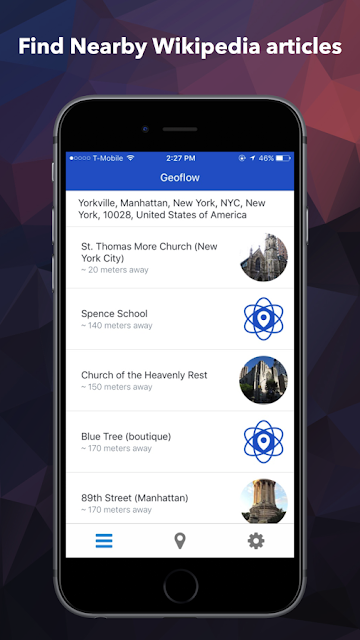 What is Speacher & Why Is It One of Our Favorite Apps? It is a free-to-use cross-platform app that allows you to learn whatever you want by using the simple question and answer principle. You get a question, you answer it, you make high scores and you try to beat your time. This way you’re more focused, you train yourself and you’re learning faster. Speacher is perfect for users that want to learn something new, for those who want to prepare themselves for exams and tests, and for teachers that want to teach their students something useful. 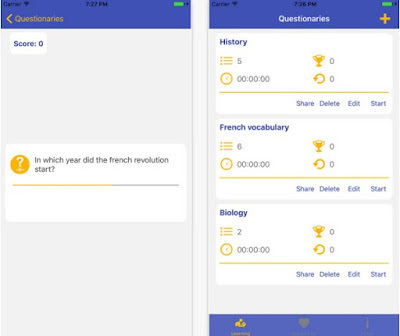 The app is presented with intuitive user interface which offers high-quality experience, supports various languages for you to learn, an option for you to categorize your questions into questionnaires, a share option for you to share your questionnaires with your friends, it works on both phones and tablets, and above all – it is completely free for download! Read more useful info about the app and get it by clicking one of the links below. Adventure games are among the most unique of any games. They do not fit into any one category or genre and often times they will fit into several genres at once. The only real prerequisite for a game to be an adventure game is that it must take you on an adventure. If you are ready to go for a new adventure, hold your smart phone and read carefully this review about Bounce-E.
Bounce-E is a new adventure platform game that adds a little more twist to old days famous bounce game. The game comes up with a simple aim and objective to be followed to enter the next level. The controls for the game are simple and easy to use all you have to do is to manage the bounce and left or right scrolling buttons in a synchronized way so the ball on the screen successfully lands on the clouds present on the screen. One thing about this game that is important to discuss is that you have to take care of the dark clouds present on the game screen, as they will end up your gameplay. Therefore, use you best scrolling and bouncing skills to end each level successfully. It offers endless levels of the adventurous journey where you have to change the color of all the clouds present on the game screen. The music is the upbeat type and the graphics it offers are of a 2D type. Download it today as this ball is really waiting for your help. You can install it free on your Android devices from the link present at the end of this review. 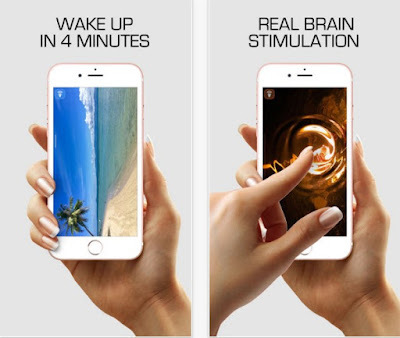 This is why we’re so happy to present to you an awesome app that is based on this science, one that can make your sleeping and waking a true bliss. The name of the app is Blue Light Therapy, now available for all iPhone and iPad users. It is created by Alexander Stone, a developed who managed to build a successful and easy-to-use brain stimulation app. Let’s see how exactly does it work. Not all colors of light have the same effect on us. Blue wavelengths—which are beneficial during daylight hours because they boost attention, reaction times, and mood—seem to be the most disruptive at night. Orange light does the opposite, it relaxes you to sleep. Well Blue Light Therapy uses both of these lights to help you fall asleep and wake up with an ease. All you got to do is install the app on your iDevice, set its brightness to the maximum and play the app. You can play it for 4 minutes, you can use the loop mode, listen to audio tracks at the same time, and even use ripple effects for better engagement. With these excellent features and many more, Blue Light Therapy can be downloaded from the App Store. Get it today and enjoy! Bubble Birds Pop is an addictive bubble shooting adventure that lets you travel the world and pop bubbles. It is developed by MadOverGames, the team that brought us Bubble Shoot Magic, Baby Witch & Bubble Blossom, it can be played on both Android phones and tablets and it is designed with fantastic graphics and sound effects. "Great all round bubble shooting game! Love every second of it"
No matter how powerful the processor of your smartphone is, sometimes only 8 bits are needed to become the happiest gamer. We can fool ourselves all we want, but the reason why we download retro games has little to do with gameplay, design or argument. The reality is that nostalgic factor is best operated these titles in Android. If you want to enjoy a great retro inspired 2D platformer, we present to you the Space Joy game. What is Space Joy & Why We Loved It? 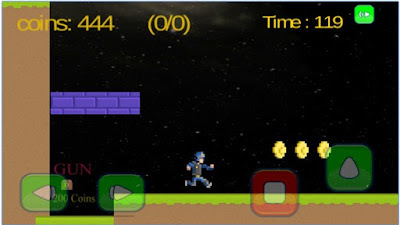 It is an Android game that involves tons of cool, nostalgic jumping and shooting in space features, a casual game app that is not that easy to put down. Developed by Abcgames, Space Joy shines with easy controls, unique story, fun music and incredible retro pixilated artwork. We especially loved the story that follows this game. It is about an astronaut named Tim who has a difficult task – to destroy the aliens and save his invaded planet. That’s where you come in – tap in order to jump and shoot, avoid obstacles, kill the enemies and collect as many coins as you can. The goal is to score as many points and pass through all challenging levels. Don’t wait any longer, entertain yourself by downloading Space Joy for free from Google Play and show it to your friends and family. Few days ago one of our staff members wrote an article about an amazing app called DA Rewards. 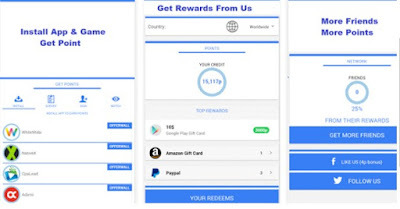 We made it a most useful app of the month because it is a really easy way to earn PayPal cash, gift cards and other rewards simply by using your phone or tablet. Launched on the Android platform, it doesn’t require much of its users, it is reliable, easy to use and worth of reviewing it again. When it comes to planning a trip, finding an affordable hotel to stay and finding a great flight are the most important challenges you face, as the prices of airline tickets are always changing and you have to follow different sources to find the cheapest flight and get the best deals. And on the other side, hotel reservation and booking cheap hotels can be as frustrating. So, how about an all-in-one booking app for both flights and hotels to be able to compare the ticket fares of different airlines and hotels, and get the best flight deals and cheapest hotel reservation? Cheap Flights Airline Tickets, as the name suggests, enables you to discover great flights deals, as well as last minute flights to make sure you are getting cheap tickets for your trip. 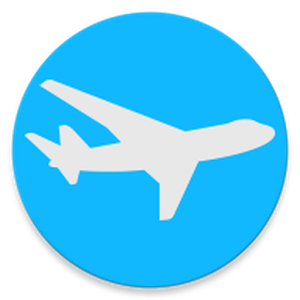 This free flight search app comes with a clean and neat design, and the interface is so user-friendly that you’ll get the whole idea after browsing through the menus for a few times. You just need to specify the origin, destination, dates, number of passengers, the flight class and hit the Search Tickets button. In a blink of an eye, you’ll be presented with several cheap tickets from different airlines to travel with. Choose the ticket suits you the best from available cheap flights and proceed. Once you are done booking your flight, it’s time to go for a cheap hotel booking from available hotel deals and discounts. So, Cheap Flights Airline Tickets offers everything you should expect from such flight search and airline tickets apps, and if you are looking for a free booking app to find some cheap flights by searching through hundreds of hot flight deals and last minute flights, you’ve come to the right place. There are several filters to narrow down the results of flight search to make sure you will find what you are exactly looking for.